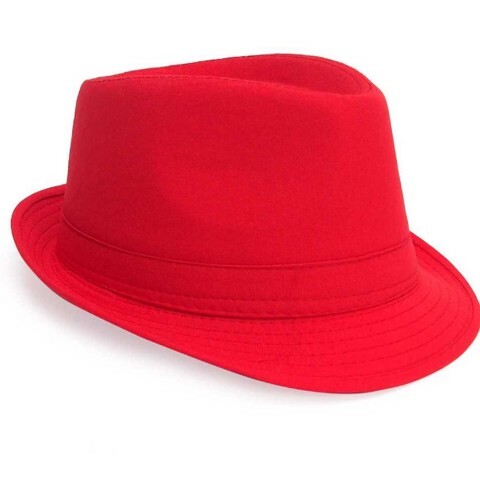 Dress Up Fedora Hat Red. 29cm Outer Diameter l 23cm Inner Diameter. Red. Polyester. 66g Packaging: Swing Tag with J Hook.